A local move is based upon a radius less than 100 miles in distance. This type of move is usually within the same state or region. 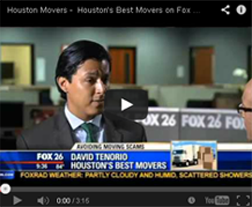 We are Houston Local Movers and the best in local moves for residential and commercial businesses. 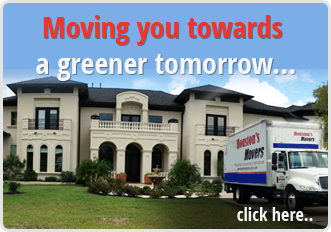 As your local moving service, Houston Movers will assist in making your relocation hassle free. We will be more than happy to keep the line of communication open until the job is completely done. Houston Movers have state of the art trucks and equipment for your convenience. Your move across the state is just as important as a long distance move. Our professional team of movers will provide you with outstanding services and we work tirelessly to make your relocation day stress-free. We are the best movers in the Houston and surrounding areas. We are dedicated in organizing and moving your belongings in a timely manner. Houston Local Movers can provide many additional moving and transport services such as: Professional packing and unpacking services, Provide padding, blankets and shrink wrap for your inventory, Offer expert advice for do-it-yourself packing, Supply packing material and boxes, Car transport services, Great professional team that will securely move all items to your new location, Free storage services for up to 30 days. Movers are license, bonded and fully insured We are the best moving company in Houston and we can’t wait to give you the personalized customer treatment. We stand by our work and will get your belongings, vehicles and fragile items safely to your new location. You can’t expect anything less from the best movers in Houston. Contact our Customer service so we can discuss your moving plans. We are dedicated in organizing and moving your belongings in a timely manner. Houston Local Movers can provide many additional moving and transport services such as: Professional packing and unpacking services, Provide padding, blankets and shrink wrap for your inventory, Offer expert advice for do-it-yourself packing, Supply packing material and boxes, Car transport services, Great professional team that will securely move all items to your new location, Free storage services for up to 30 days.We will pick up, place your items in storage and redeliver at no additional charge to the customer, Houston Local Movers are license, bonded and fully insured .